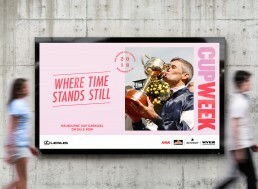 We needed to evolve the previous year’s Corporate Hospitality and Dining creative to entice early bird sales to the Melbourne Cup Carnival. 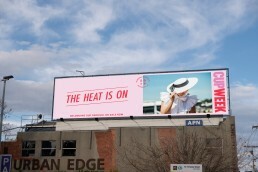 Mostly focusing on interstate businesses, this above-the-line campaign needed to be eye-catching and memorable. We took an element from the previous year’s campaign – that of using song lyrics as headlines – and blew it out. Mixing the creative elements of the newly launch MCC brand campaign, we paired Flemington imagery with these subtle song lyrics to create cohesive, vibrant and eye-catching creative.